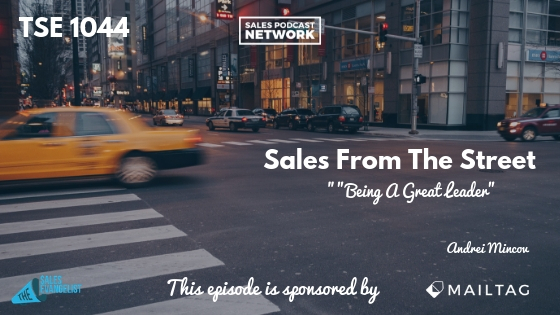 TSE 1044: Sales From The Street: "Being A Great Leader"
It’s impossible to overstate the importance of being a great leader when you’re working to build a team or an organization into something that will change the world and make things better for people. Today’s guest Andrei Mincov founded Trademark Factory in 2013 to help entrepreneurs secure the legacy of their brands and preserve their hard work. As you grow your team, as you grow your business, as you grow your dream, as you grow your vision, there comes a time when the leader can’t come up with all the ideas. In order for the organization to grow, leaders need team members who help generate ideas and who provide initiative to improve things. You’ll likely have some team members who simply have marching orders or tasks. Others will be responsible to help you move the organization forward. Those team members will have to have vision. They’ll operate from your inspiration. Finding those visionary team members is different than hiring task-based team members. Andrei uses small, unique tasks to help make hiring decisions simpler. He might, for example, offer a jpeg with a typo or error in it and ask prospective employees to find the error. The intention would be to measure the candidate’s attention to detail. He might also ask the candidate to build a video or a graphics project. This process helps him narrow the field because not every candidate is willing to jump through the required hoops to get the job. It also helps him determine who actually has the necessary skill set to accomplish the work. Without poring over countless resumes and applications he can narrow the field to the best candidates. If candidates aren’t excited enough in the beginning to show you what they can do for you, how excited will they be after they are hired? Leaders must have a compelling vision in order to grow a company. They should also likely have a track record of successfully accomplishing goals. Conveying thoughts and messages won’t be enough to lead well. Leadership demands action and results. People will follow leaders who have vision and a successful track record. The better your business and the better your track record, the more likely you are to attract great people to surround you. Andrei shared that animals in the zoo don’t care about ticket sales. They care about food and comfort and safety. Your team members are similar in that they care about basic things like provision and comfort. While you probably want them to have full ownership in your business, they likely never will. Your role is to provide enough vision for them to recognize that aligning themselves with your goal will benefit them personally. Smaller companies often fail to see that they are capable of building something that matters. They may have a really cool team or a really cool business and they assume it’s a fluke. They don’t take themselves seriously enough to worry about protecting their businesses. What steps would you take to protect yourself and your business if you knew that you would definitely succeed? 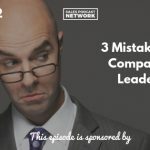 This issue boils down to leadership, because if you don’t have a vision of growing your company into something substantial, you’ll miss an opportunity. Great leaders like Steve Jobs and Jeff Bezos know that they are building something that can change the world. They are building something that will help a bunch of people do a bunch of great stuff. When you have a vision toward the path to greatness, people will follow you. Do something that people will remember years from now. You can connect with Andrei and his team trademarkfactory.com. If you have a brand you’re interested in protecting, you can schedule a free call with the team to determine the next steps in your process. 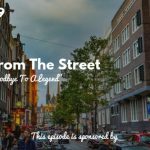 This episode is brought to you in part by mailtag.io, a Chrome browser extension for Gmail that allows you to track and schedule your emails. It’s super easy, it’s helpful, and I recommend that you try it out. You’ll receive real-time alerts anyone opens an email or clicks a link. Mailtag.io allows you to see around the corners. You can see when people open your email, or when they click on the link you sent. Mailtag.io will give you half-off your subscription for life when you use the Promo Code: Donald at check out. This episode is also brought to you by the TSE Certified Sales Training Program. If 2018 wasn’t the best year for you, check out TSE Certified Sales Training Program. We can help you out of your slump. If you gave a lot of great presentations and did a lot of hard work, only to watch your prospects choose to work with your competitors, we can help you fix that. The new semester of TSE Certified Sales Training Program begins in April and it would be an absolute honor to have you join us. I hope you enjoyed the show today as much as I did. If so, please consider leaving us a rating on Apple Podcast, Google Podcast, Stitcher, or wherever you consume this content and share it with someone else who might benefit from our message. It helps others find our message and improves our visibility. If you haven’t already done so, subscribe to the podcast so you won’t miss a single episode. Share it with your friends who would benefit from learning more. Audio provided by Free SFX and Bensound.